One criticism of myself (although I’m hard pushed to find any if I’m being honest…) is that I’m a little bit too set in my ways with sports. Most will know I’m a massive football fan, some will know that I’m into ice hockey but besides that, there’s not really many other sports I’ll give the time of day to. Since coming to Japan in 2015 I’ve been to a few baseball games, and although I could never watch it on TV I have to admit that being drunk in the sun soaking up the atmosphere isn’t the worst thing in the world. Aside from that, my experiences of live sport in Japan have been largely limited to my two aforementioned favourites. 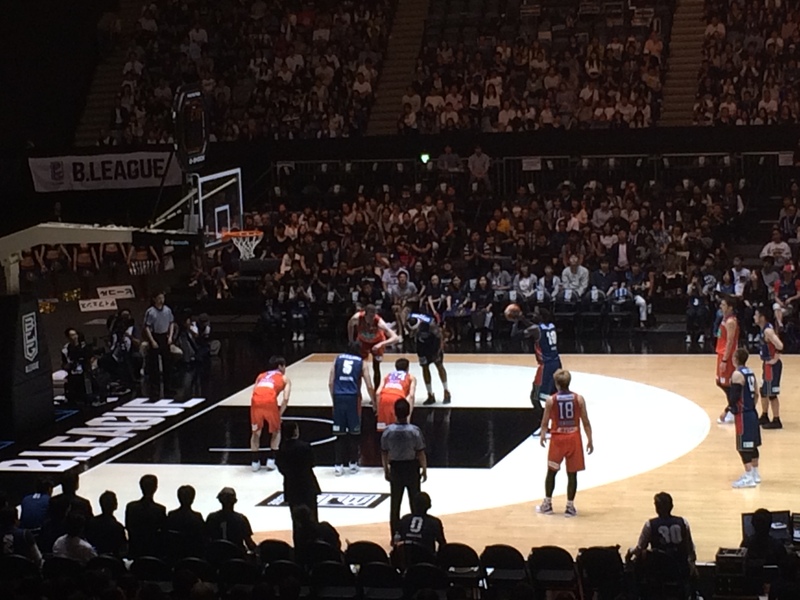 As is often the case though, I’ll try anything once and this Sunday saw me, Glen and Neil reunited once again to watch the Japanese basketball league, which goes by the name of the B. League. Not sure where they came up with that one, although it is infinitely better than the league’s previous name which was (wait for it…!) 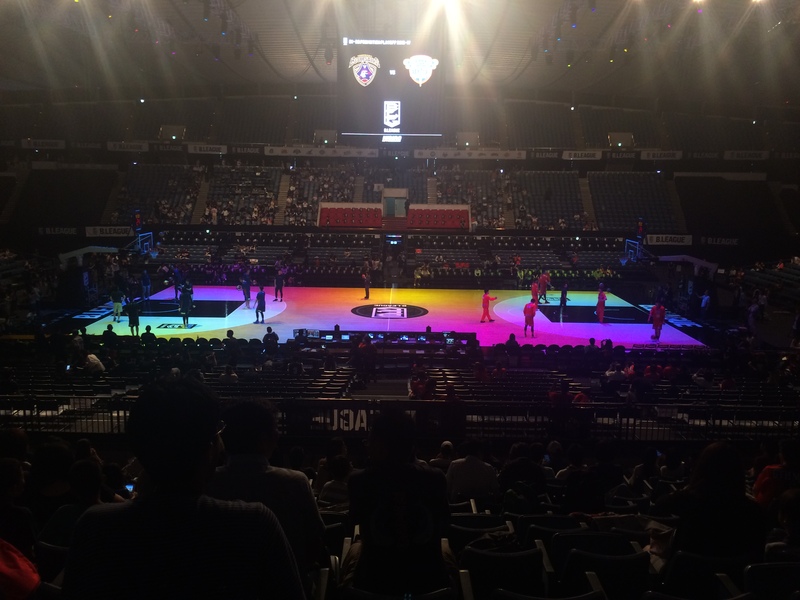 the BJ League! I kid you not! Naturally this provided us with hours (days) of laughter before, during and after the game had long finished. As was the case with David Bonk’s name at the ice hockey, we probably should have known better at our respective ages! 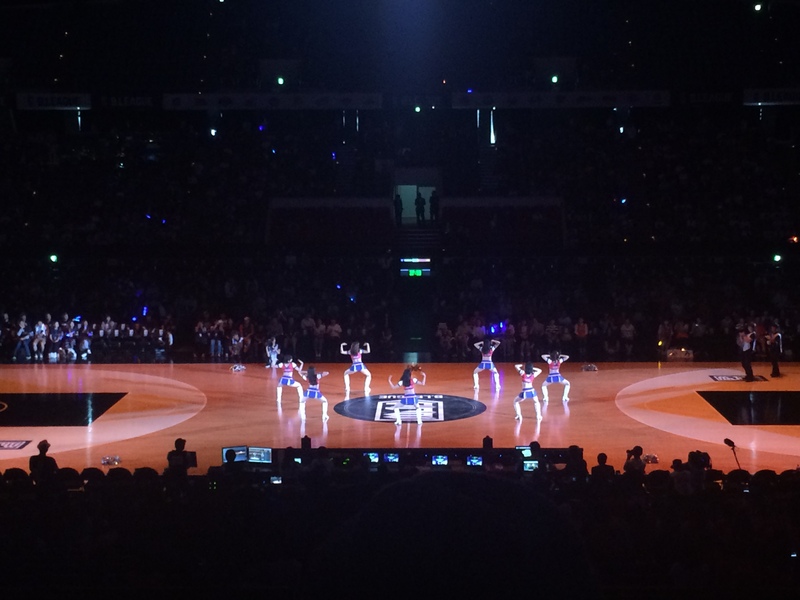 Yoyogi National Gymnasium…the theatre of dreams for one team! We met at Harajuku station at 11.30am and quickly set about stocking up on beers to sneak into the Yoyogi National Gymnasium. Now I dislike Harajuku at the best of times but on a Sunday it’s next level unbearable. The only convenience stores near the station are big enough to house about three child-sized people at best, so it was no surprise to see the queue snaking out of the door at our FamilyMart of choice! We got on with the standard packing of beers into our backpacks, and I realised I’d not thought it through and only brought one thin jacket to conceal my beers. Neil on the other hand, had thought ahead and brought two thick coats! Any security staff with half a brain should have instantly been suspicious – it was about 30 degrees outside and Neil was packed for a trek to the North Pole! As is usually the case thought it was just a quick look into the bag, brief feel down the sides and we were in the venue – beers fully intact! Now despite the tip-off (desperately searching for a smutty remark here) not being until 2.05pm, we were in the venue and in our seats by around 12.30pm! 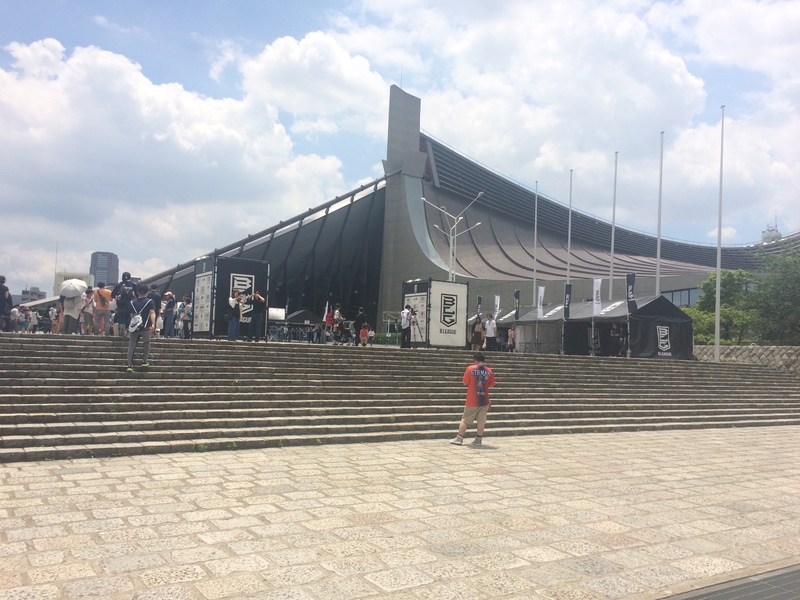 We’d opted for the cheapest ¥3,000 general admission seats, and had to get there early to get a good spot. I’ve mentioned many times in the past that we’ve turned up to sporting events an hour before the start and spent ages trying to find any seats together that weren’t reserved by people’s bags, towels and even wallets. We weren’t going to get our fingers burnt this time and we ended up with some great seats right at centre court. The ¥3,000 tickets were great value for money, as we essentially had our pick of the seats along either side, as long as they weren’t directly court-side. I’d struggle to justify paying any more knowing how good the cheapest tickets are…if you get there early! Actually, maybe this is why people get there early. Tip off finally came around and there was a lot riding on this game; if Hiroshima Dragonflies won then they’d be promoted to the top division and Yokohama B. Corsairs would drop down to B2. If Yokohama won, neither team would move. One of my main complaints about basketball is that it just seems a case of one team running up the court, scoring a few points, then the opposition does the same. Beforehand I struggled to understand how any team won seeing as they seemed to just trade points, but after Yokohama’s fairly comprehensive (I think) 74-53 victory I now have something of a better understanding. At this point I just about understood what was happening. The highlight of the game was without doubt Yokohama’s American import Jason Washburn. Not only did he put up almost double the points of anyone else on the court, but he also seemed to be a hell of a character too. He reminded us of Zlatan Ibrahimovic in stature, and the fact he didn’t seem to move much but still bossed it. Add this to the fact he was constantly revving the fans and his teammates up, and you have a real showman! 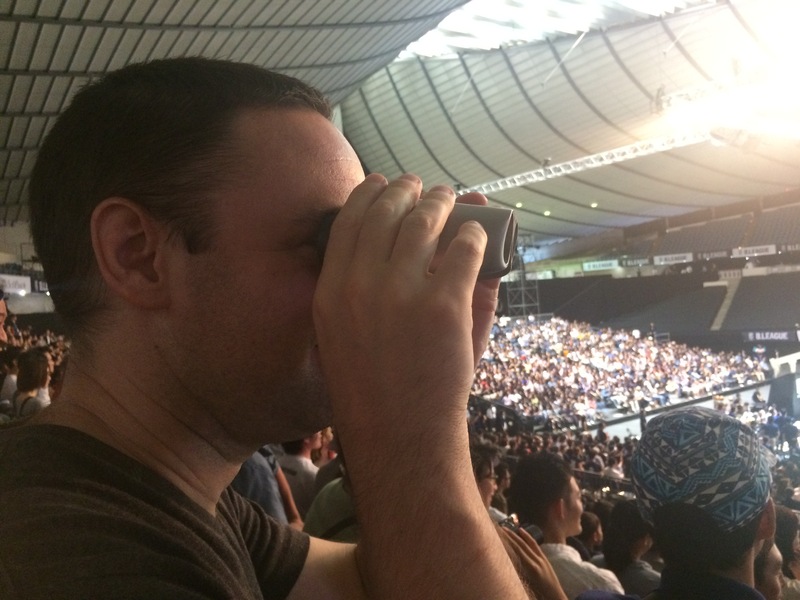 The other highlight was the moment Glen dug into his bag and whipped out a pair of binoculars! I didn’t even know these things still existed, let alone any of my mates owned them. They were a ‘gift from his father-in-law’…so he says. The cheerleaders made a sudden appearance. The majority of the crowd were Yokohama fans due to geography I imagine, so there was a sense of relief around the place at the final buzzer. 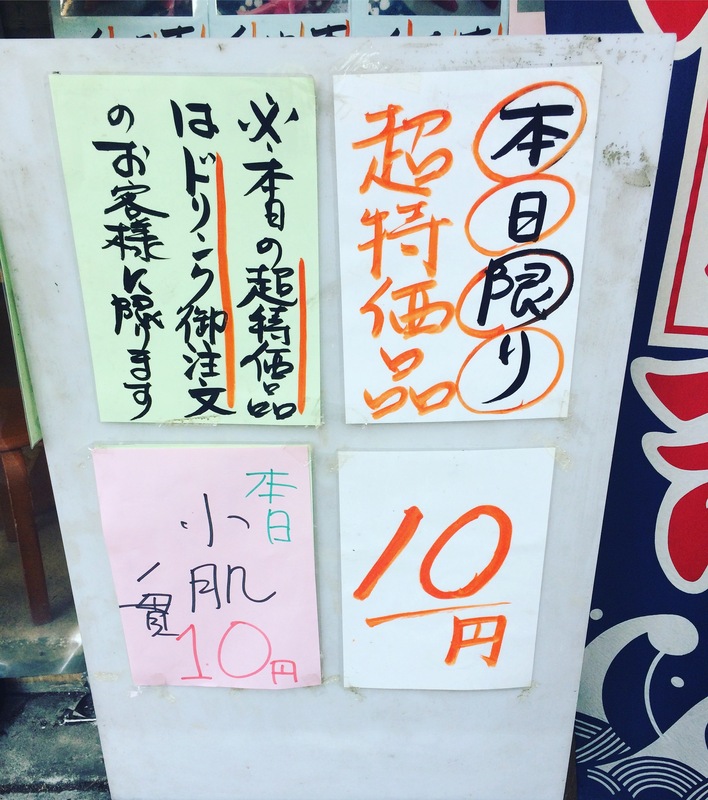 Unfortunately the ¥10 tuna deal is a thing of the past, but there’s still ¥10 sushi on offer. I assume it’s an alternating offer. Anyway, as none of us can read kanji well enough to understand a sushi menu, we ordered six of the ¥10 pieces, and a few other random ones. 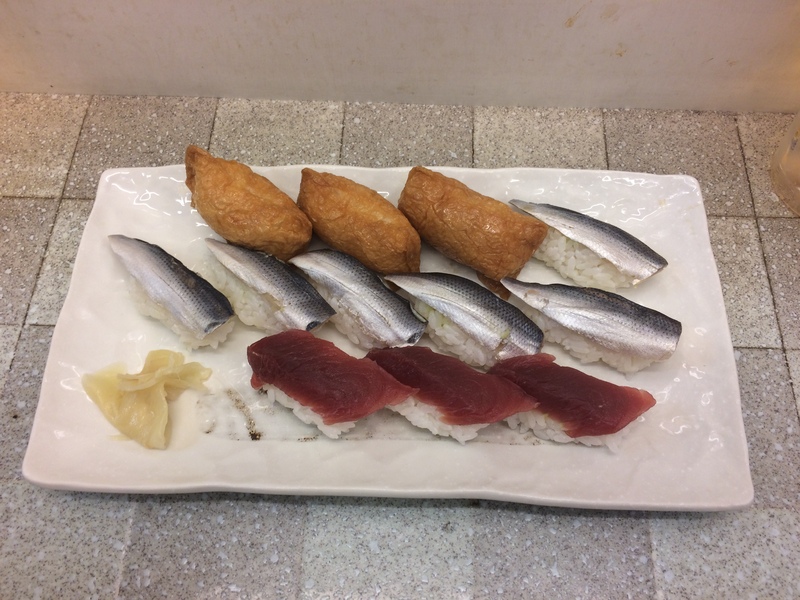 Sadly for me the ¥10 deal was on kohada, a fish I’m not a fan of due to the fact I once ate it when I was drunk, and could still taste it when I burped the next day. It’s the little things that make the difference. The stuff in the middle was the ¥10 stuff. Typical! We ended up making about five or six different orders in the space of half an hour or so, and with three beers the bill came to a pretty impressive ¥3,300 for the three of us. After that it was time to head to the nearby Hub for happy hour and the rest, as they say, is history!